The American author Augustus Lucas Hillhouse was a writer of hymns and books on the natural world. He was the younger brother of James Hillhouse who was also known as “The Poet Hillhouse”. Augustus was born in New Haven, Connecticut on the 9th December 1792. He graduated from Yale University in 1810. Augustus’s poetry is generally found in his extensive hymn writing. A long example of his work is the hymn Trembling before thine awful throne. He wrote this in 1816 but it was not published until 1822 when it was picked up by the Christian Spectator in New Haven. It was a popular and widely sung hymn though usually in a shorter form than the original. In fact, st. iii was incorporated into another hymn, called Earth has a joy unknown to heaven, which can be found in various American hymnbooks. In addition to his hymn writing, Hillhouse was a keen author on subjects relating to the natural world. 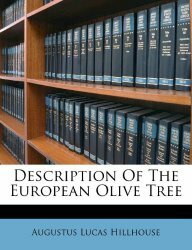 Books published include: Description of the European Olive Tree (Afrikaans Edition) and An Essay on the History and Cultivation of the European Olive Tree (German Edition). He also collaborated with two other writers on The North American Sylva: Or, a Description of the Forest Trees of the United States, Canada and Nova Scotia. On a personal level, Hillhouse enjoyed European travels and set up a school in Paris. Augustus Lucas Hillhouse died somewhere near Paris on the 14th March 1859, aged 66. There are no published photographs of AL Hillhouse online.